THE SKINNY: I doubted, it's true. I wasn't sure anti-aging eyeshadow primer would really make any kind of difference. I was wrong. So. Very. Wrong. 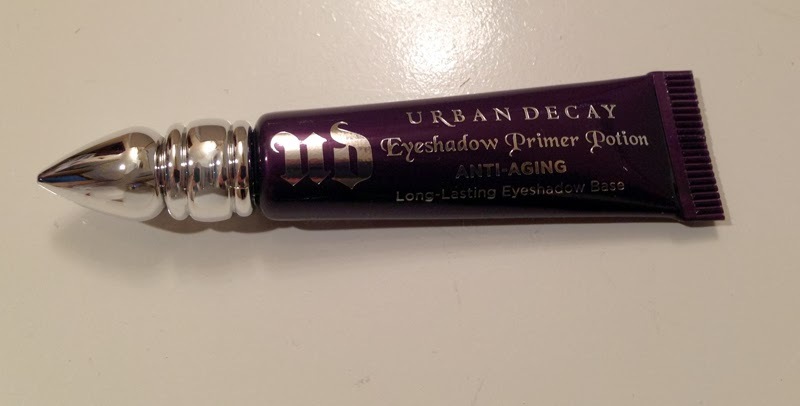 This is a great product that combines Urban Decay's stellar eye shadow primer with something a little heavier that smooths those fine lines on my 40+-year-old eyelids (and can masks dark circles, too). It is heavier than the regular primer, but not by much. I can see a difference when I use it. It does the job keeping eye shadow in place without creasing, too. KEEP OR TOSS: Keep. I may have to switch to this full-time. CHECK IT OUT: Urban Decay says it took eight weeks for participants in a clinical study to see fine lines disappear.